This is how my kid makes her bed. This is an improvement from last year where she didn’t even attempt to make it at all. 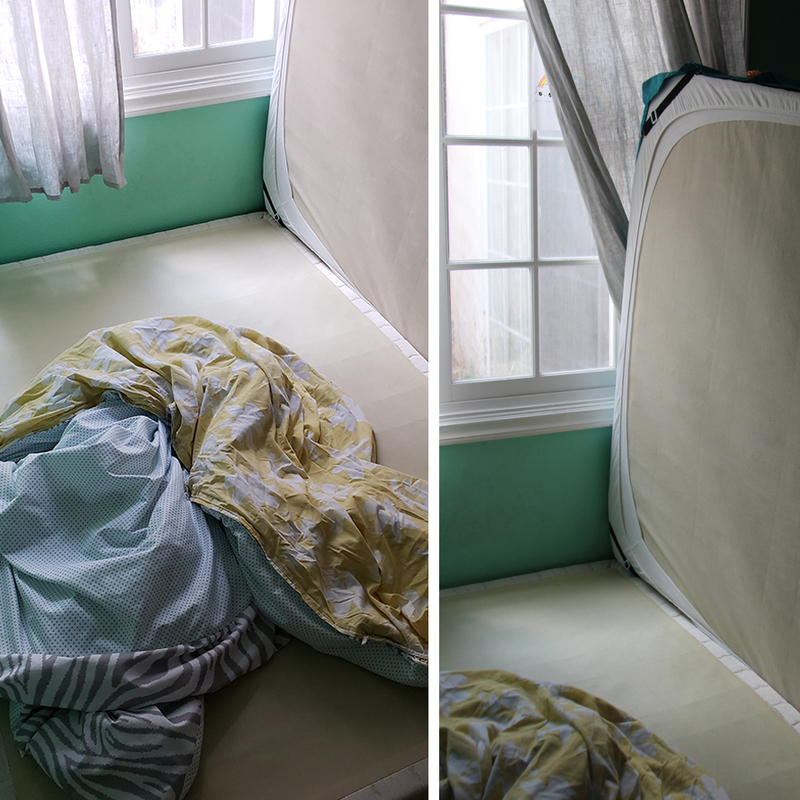 This is technically “made” because the covers are pulled up generally towards the pillow instead of strewn all over the bed, half on and half off. This improvement can be credited to a chore chart and a steady allowance with the threat of docking that allowance if she misses a day. It works pretty well. 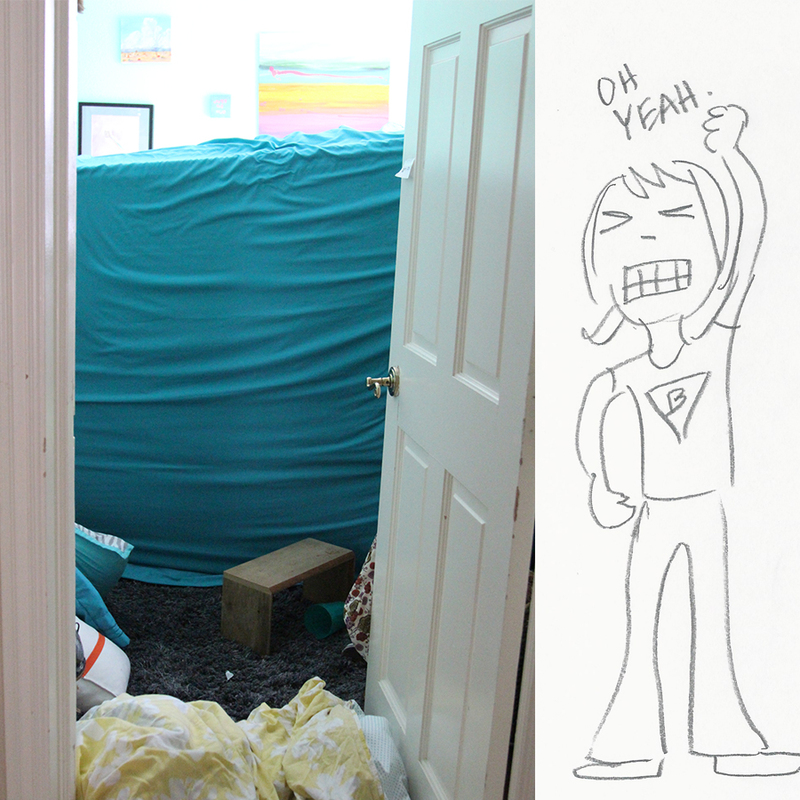 But seriously, this is how she makes the bed. It drives me crazy. 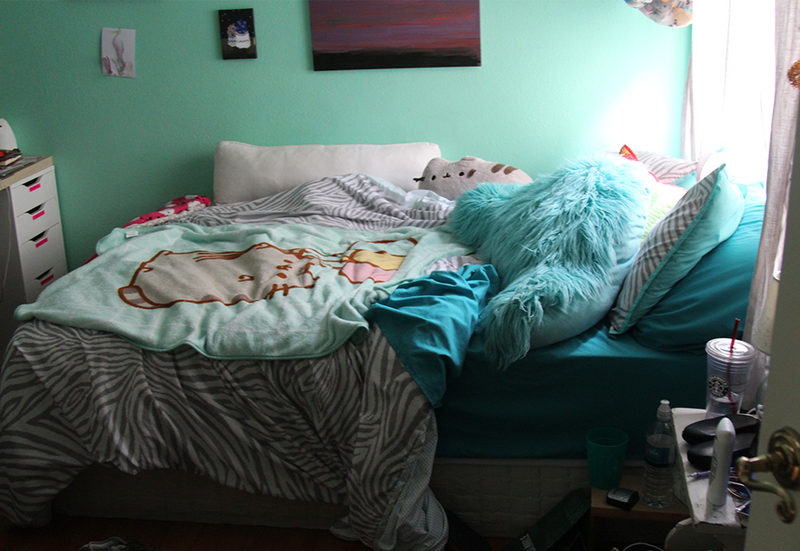 I can’t even really harp on her about it either because her bed is pushed up against the wall (to accommodate her incredibly small room) and it’s really a pain in the neck to pull the mattress away from the wall, re-tuck the bedspread and then push the bed back against the wall every day. Often the Bed Fairy (aka me) does this for her (because the messiness drives me bananas). 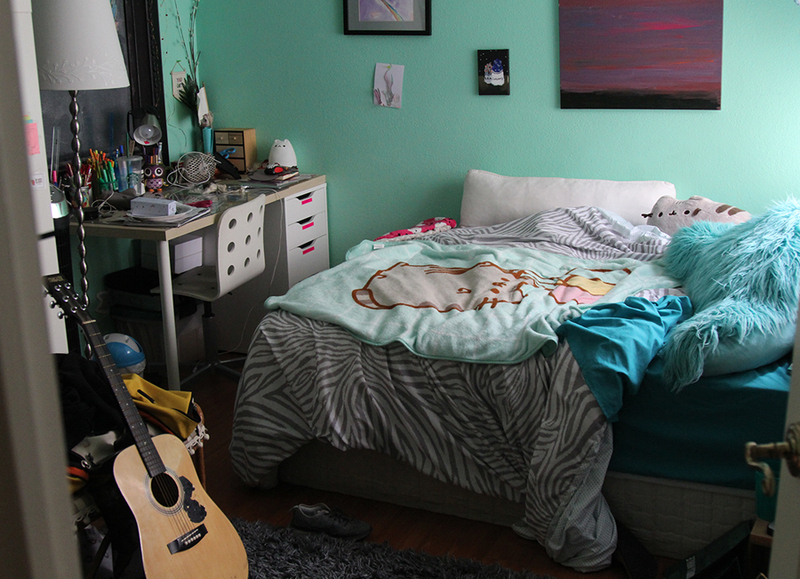 When she comes home and it’s all magically put back together we all exclaim over how amazing the Bed Fairy is. Everybody loves the Bed Fairy. Well, the fed-up Bed Fairy came up with a plan. 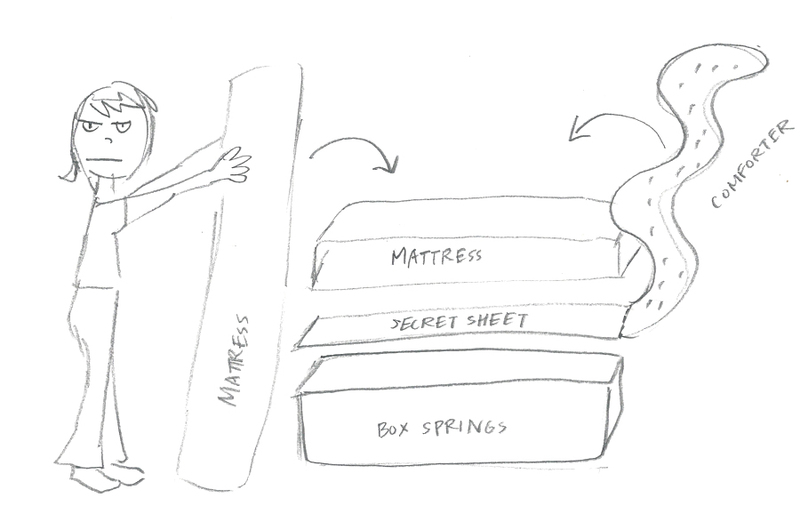 What if I sewed a sheet to the ever-escaping bedspread and then I inserted that sheet in between the box springs and the mattress like a bed sandwich. Then no matter how much she tossed and turned in the night it would be really tough for the bedspread pull away and untuck. Brilliant idea, right?!! So I did! 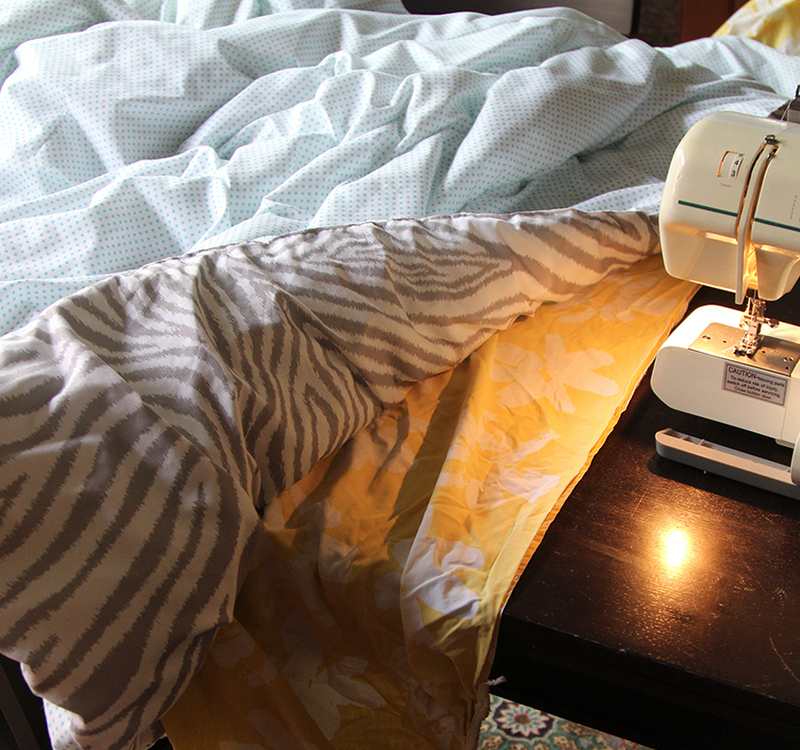 I found an old sheet and sewed it right onto the bedspread without a lick of guilt. Done and done! Man, I’m glad I learned how to sew when I was fourteen. That reminds me, I need to get on that and teach my girls how to sew. Such a useful skill. 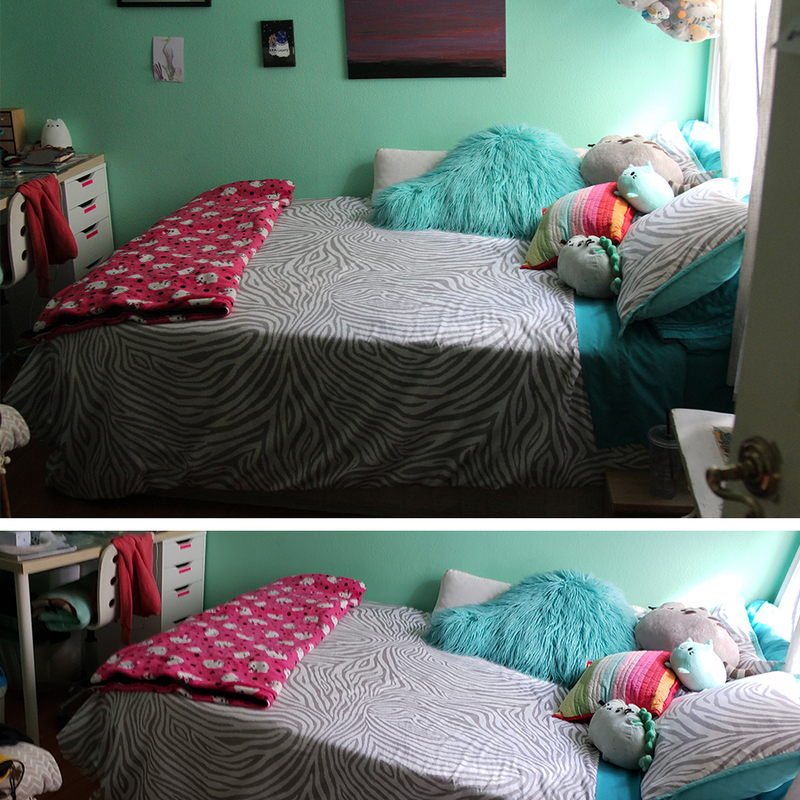 Then I took her bed apart like the super woman that I am and inserted the new sheet-attached bedspread. Presto Change-o! Look at that perfection! It worked! ← And that’s how you celebrate turning 80. Sigh I’m thinking of all the Mums and Dads out there with the same problem of getting their kids to make their beds.